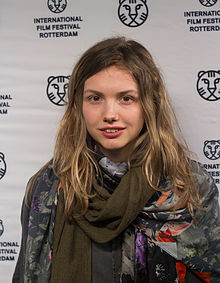 Tegan Lauren-Hannah Murray (born 1 July 1989) is an English actress. She is best known for playing the role of Cassie, a gentle, 'spacey' teen girl with an apparent eating disorder and unstated mental illness in E4's drama/comedy, Skins. Murray attended North Bristol Post 16 Centre studying German. Reads in Lost for words campaign 2007. This page was last changed on 28 April 2017, at 23:30.